Creating the PC equivalent of the $500 Xbox One X is trickier than you might guess. Is it worth it to try building your own Xbox One X? We built an Xbox One X PC! Microsoft’s Xbox One X presents an interesting challenge for PC builders. Sure, if you want raw power, nothing beats the PC. But putting together an Xbox One X equivalent for the same $500 price is tricky. In ideal conditions, that price point already pushes the limits of what’s possible, particularly outside of the golden window of Black Friday sales and stellar combo/bundle deals on PC components. But we remain in the middle of inflated prices for RAM and certain GPUs, as well as a dearth of 4K UHD drives. Faithfully replicating Microsoft’s console doesn’t come out cleanly in favor of a DIY PC. Still, it’s a worthwhile endeavor—so we’ve not only updated the prices for our two sample builds from June, but we’ve also added a new one using a Ryzen 3 CPU. Moreover, we’ve built an Xbox One X PC. In fact, we built two based on our part lists, and then benchmarked them. Editor’s note (11/7/2017): This article was originally published on June 16, 2017. The latest update includes our benchmarks of the Xbox One X PC we built live on November 2nd. To start, we’ll walk through a baseline build, which makes a few sacrifices but should still perform at 4K/30 fps. Prices current as of October 26, 2017. Retailers chosen with shipping costs in mind—and the assumption most people have an Amazon Prime account. Cheap motherboards like the Gigabyte GA-970A-DS3P FX lack on-board Wi-Fi, so if you want wireless connectivity, prepare to shell out for either a Wi-Fi adapter or a better motherboard. See the Build Summary section for notes on cost. This price is after a $3 coupon discount plus a $15 mail-in rebate. When comparing our build to the Xbox One X piece by piece, each platform’s advantages are clear. Our PC has more flexibility and muscle, while the Xbox One X is both highly compact and set in stone. This configuration nets you a (faster) eight-core CPU, enough RAM to avoid performance bottlenecks, and a GPU capable of 4K gaming at a minimum of 30 fps on Medium settings. (See below for our actual benchmark results.) However, some Xbox One X games may end up running more smoothly or with better visual fidelity on console than on this homebrew 4K machine. Unlike with the PC, developers can fine-tune their games for Microsoft’s console through a low-level API. I could have spent a lot of time speculating on what that quotation meant: Perhaps it’s a shift from SATA II/3Gbps to SATA III/6Gbps? Use of a solid-state hybrid drive? A larger cache? Instead I chose to keep this exercise simple and selected a SATA III 7,200rpm Western Digital hard drive. Since then, I’ve had readers tell me that Microsoft is indeed using a 7,200rpm drive in the Xbox One X. (Thus dashing any hopes that the Xbox One X’s $500 price tag includes a SSHD, like in its now-discontinued Xbox One Elite model.) However, when I recently looked up Xbox One X teardowns, I saw a part number on the Seagate hard drive that actually indicates a 5,400rpm drive (ST1000LM035). With that mystery still unresolved, I stand by my original decision to pick a 7,200rpm for simplicity’s sake. It’s as cheap, if not cheaper than a 5,400rpm drive, and it’ll run at SATA III/6Gbps assuming your motherboard supports it. Some AM3+ boards don’t, so if you go with this FX-8300 build, keep that in mind. The Xbox One X hard drive, as shown at Microsoft’s Xbox showcase at E3 2017. The final pieces of this build are straightforward. In fact, you can use any reputable 500W power supply (the minimum for this build), ATX case, and Blu-Ray drive. The ones listed in our build were chosen for how cheap they were at the time of publication. Speaking of that Blu-Ray drive, it’s a far step down from the Xbox One X’s 4K UHD Blu-Ray drive. To stay even remotely near a final total of $500, you have to ditch support for playback of 4K UHD discs. So that means you can’t play your collection of 4K UHD movies in HDR on a compatible TV, if you already own one. As for the operating system, we can’t go as cheap as the Xbox One X’s included variant of Windows 10, but we can get a W10 Home license at a heavy discount. How? By using a trick that Brad Chacos has mentioned to our staff for a while now: Buying a product key through Kinguin. It works, but be sure to get the Buyer Protection—the site functions like an eBay for software, and that insurance will protect you from shady sellers. You can’t do an exact 1:1 duplicate of an Xbox One X, thanks to a mix of Microsoft’s custom hardware design and slow release of specs. This build is a fairly decent compromise between Xbox One X’s main features and the cost of PC components. It runs games in 4K at a minimum of 30 fps on a Medium graphics setting, supports HDR, and plays optical discs. 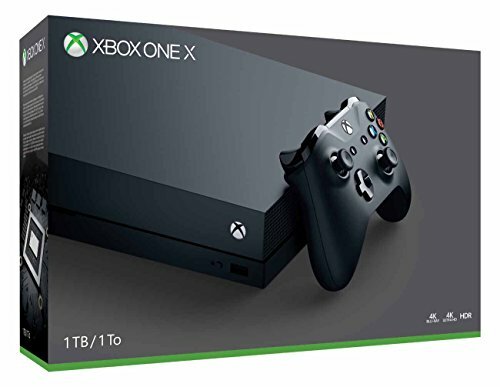 However, it’s more expensive than an Xbox One X by $212 (or more, if you’re bad about filing mail-in rebates). It lacks support for 4K UHD Blu-Ray discs. It uses a GPU that’s still inflated in price, so currently you’ll have to shell out more than MSRP or buy a graphics card with less memory. (For example, Nvidia’s 6GB GTX 1060 instead of a 8GB Radeon RX 580.) It doesn’t have built-in Wi-Fi support. It’s not nearly as compact or small. And though I purposely left a controller off the build list (for PC gaming, a keyboard and mouse suffice just fine), you’ll need to factor in another $15 to $60 if it’s a must-have. Truthfully, now that we’ve updated the parts list with current pricing (as of October 2017), the most surprising part of this build is the price increase for components like the Blu-Ray drive. In June, this FX-8300 system was $652. The $60 hike makes our more modern Ryzen 3 alternative (see below) look just as good, if not slightly better, as an alternative. Our second build swaps out the standard Blu-Ray drive for a 4K UHD Blu-Ray drive—and changes the CPU and motherboard configuration as well. The price for this ASRock motherboard is after $5 mail-in rebate. For the most part, this build shares the same approach as our first one. The key difference is the substitution of Pioneer's 4K UHD Blu-ray drive. The swap puts the optical drive's specs in line with the Xbox One X, and it also makes this build quite a bit more expensive by comparison. For the moment, you can’t get around this painful jump in cost. The cheapest compatible processor is a $183 Kaby Lake Core i5-7400, and because only a few motherboards support the Draconian DRM specifications for 4K UHD Blu-ray disc playback, the lowest-cost option is $154. 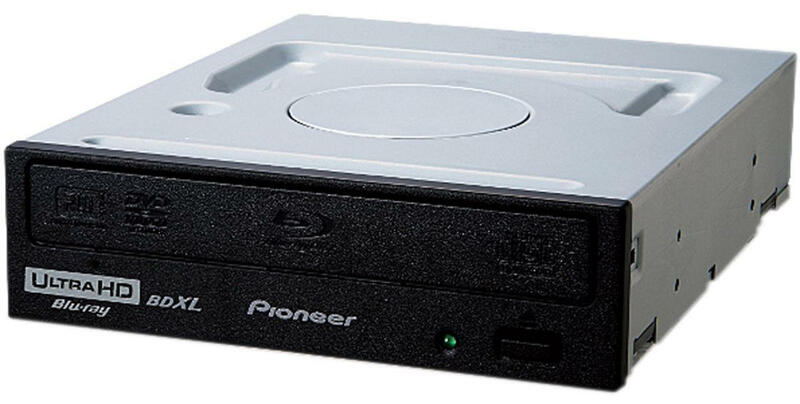 Moreover, Pioneer currently has the only option for a 4K UHD Blu-Ray drive. The short of it is that you have few options for components (and price shopping) if you go this route. This upgraded rig nails the Xbox One X’s main features: It should run games in 4K at a minimum of 30 fps on a Medium graphics setting, support HDR, and play 4K UHD optical discs. However, like the first build in this article, it has its downsides. First of all, if you build this PC at this very moment, you’ll pay an inflated cost for that RX 580 plus the RAM. This system is also much more expensive than the Xbox One X. At $940, you could buy the Xbox One X almost twice over. When we first published this article in June, I noted that AMD’s upcoming Ryzen 3 processors might offer better performance than the FX-8300 for the same price. This build tackles that question head-on. Cheap motherboards like the ASRock A320M-HDV lack on-board Wi-Fi, so if you want wireless connectivity, prepare to shell out for either a Wi-Fi adapter or a better motherboard. On paper, the AMD FX-8300 in Build #1 makes an Xbox One X PC clone seem very tidy: It’s an eight-core CPU, which sounds the same as as the eight-core processor in Microsoft’s current-gen consoles. 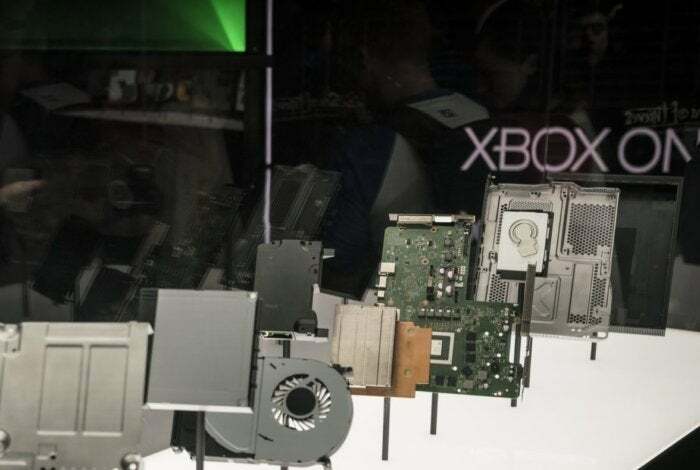 However, PC enthusiasts know that a huge gulf exists between a true eight-core desktop CPU and the custom part used for the Xbox One lineup. What matters more is the FX-8300’s price, which was $90 at the time of our initial June pricing. That puts it squarely in budget CPU territory. 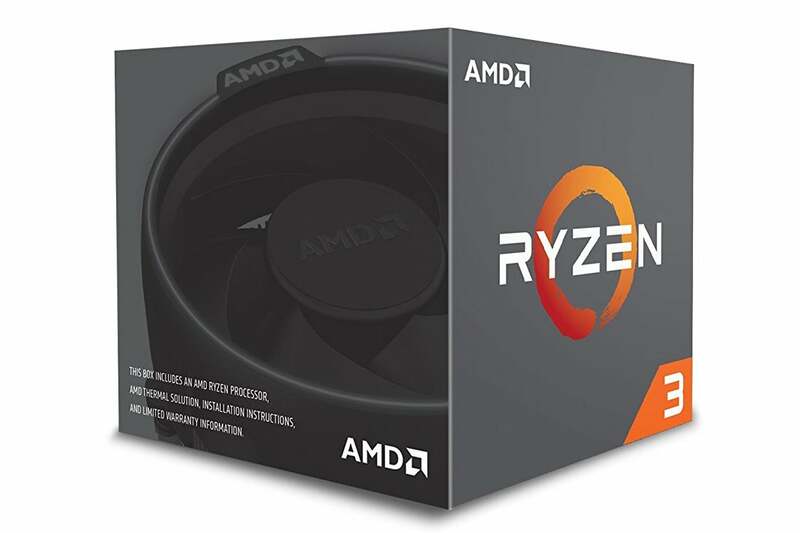 Now that the FX-8300’s price is rising—as prices do when components begin to obsolesce—a Ryzen 3 1200 ($110) is an easy alternative. Yes, the 1200 is a four-core, four-thread part, but it’s a desktop-class component comparable to Intel’s mid-tier ($180+) Core i5 CPUs. Because we’re building a gaming PC, there’s no point in forcing an artificial replication of specs in order to appear evenly matched. Going with a newer processor also opens up the possibility of upgrades down the line. Though an AM4 A320 motherboard offers few substantial upgrades over an AM3+ 970 board, it does support booting from an M.2 NVMe solid-state drive. 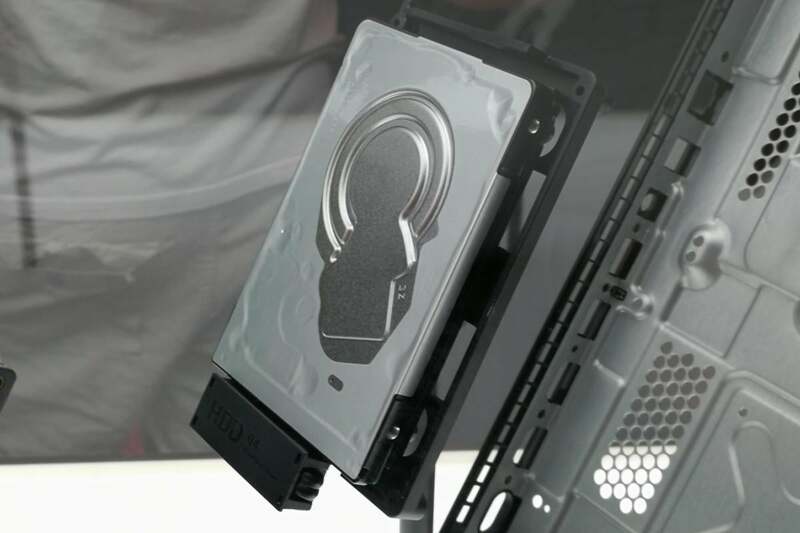 You’re not stuck with a slow hard drive or even a SATA SSD as your only options for storage. In addition to the CPU and the motherboard swap, the type of RAM is different in this build. We’ve picked the fastest RAM of the low-cost options. Fortunately, that turned out to be 2,400MHz--since Ryzen's performance is influenced by RAM speed, it's a nice stroke of luck. Outside of these changes, this system shares the same approach as Build #1: It supports only standard Blu-Ray playback to keep as close to $500 as possible, and the rest of the components were largely chosen for cost. That includes even the Radeon RX 580 graphics card with its inflated street price. Like Build #1, this rig walks the line between the Xbox One X’s main features and the cost of PC components: You’re able to play games 4K at a minimum of 30 fps on a Medium graphics setting, view HDR content, and watch DVDs and Blu-ray discs. It’s still more expensive than Microsoft’s console, however. If all you care about is gaming and media playback, buying an Xbox One X will provide that and still leave you $193 to spend on games. If you want the flexibility of a PC, though, this Ryzen build lays a foundation for a system that can be upgraded over time. Faster storage and a better graphics card will be easy swaps. 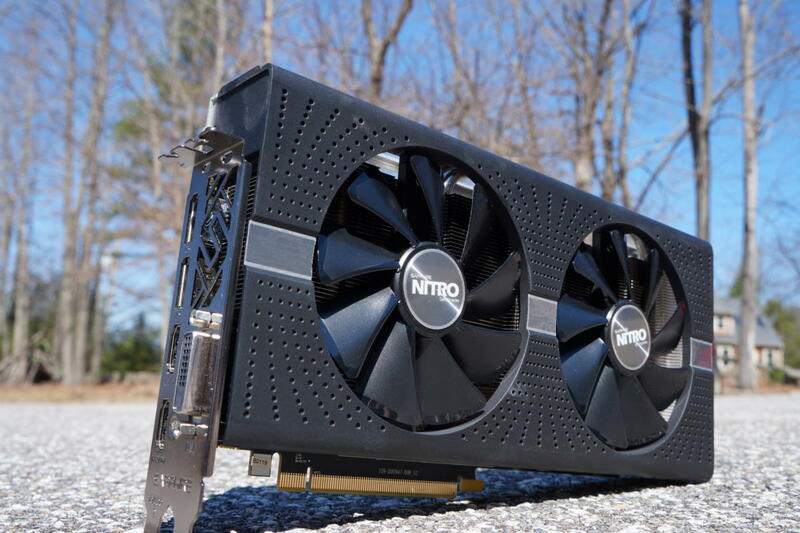 Availability and pricing for future graphics cards will hopefully be much better than they've been since the crypto-currency mining frenzy began. Next page: Final thoughts on the part lists, and we build an Xbox One X PC!